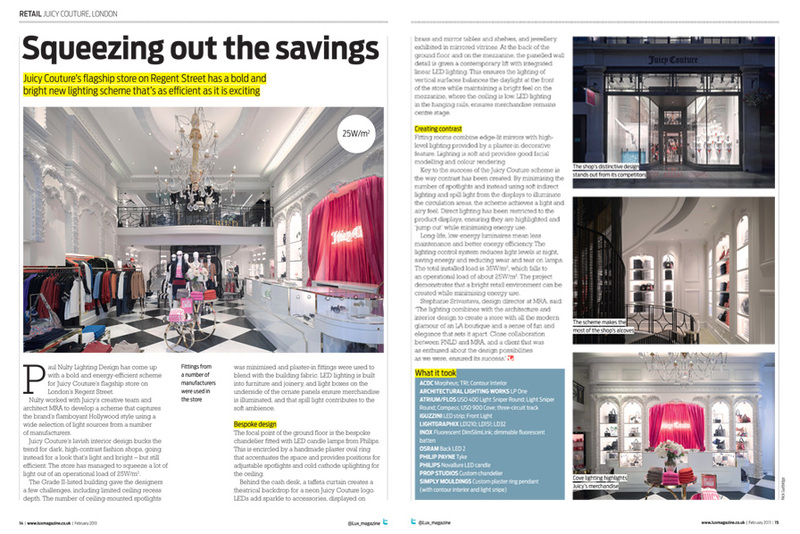 MRA are delighted that Juicy Couture's UK flaghip store on Regent Street features in the February edition of Lux Magazine. 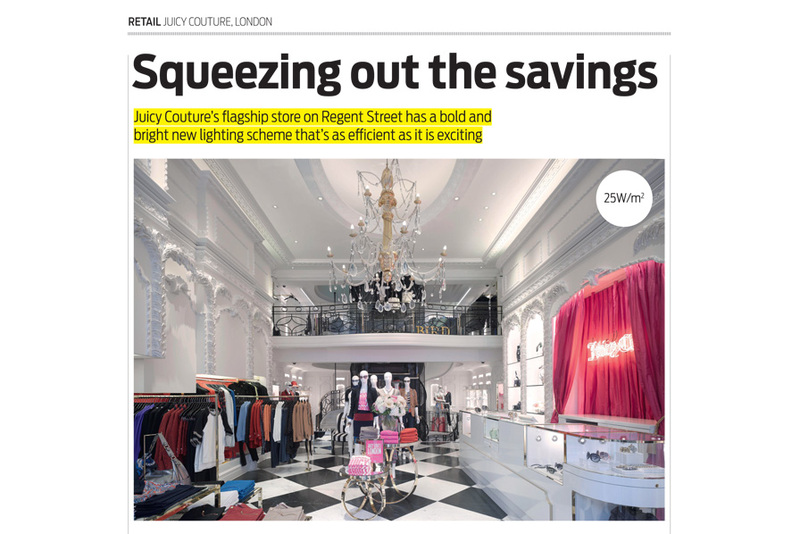 Here's the article in full: "Paul Nulty Lighting Design has come up with a bold and energy-efficient scheme for Juicy Couture’s flagship store on London’s Regent Street. Nulty worked with Juicy’s creative team and architect MRA to develop a scheme that captures the brand’s flamboyant Hollywood style using a wide selection of light sources from a number of manufacturers. Juicy Couture’s lavish interior design bucks the trend for dark, high-contrast fashion shops, going instead for a look that’s light and bright – but still efficient. The store has managed to squeeze a lot of light out of an operational load of 25W/m2. The Grade II-listed building gave the designers a few challenges, including limited ceiling recess depth. The number of ceiling-mounted spotlights was minimised and plaster-in fittings were used to blend with the building fabric. LED lighting is built into furniture and joinery, and light boxes on the underside of the ornate panels ensure merchandise is illuminated, and that spill light contributes to the soft ambience. Bespoke design The focal point of the ground floor is the bespoke chandelier fitted with LED candle lamps from Philips. This is encircled by a handmade plaster oval ring that accentuates the space and provides positions for adjustable spotlights and cold cathode uplighting for the ceiling. Behind the cash desk, a taffeta curtain creates a theatrical backdrop for a neon Juicy Couture logo. LEDs add sparkle to accessories, displayed on brass and mirror tables and shelves, and jewellery, exhibited in mirrored vitrines. At the back of the ground floor and on the mezzanine, the panelled wall detail is given a contemporary lift with integrated linear LED lighting. This ensures the lighting of vertical surfaces balances the daylight at the front of the store while maintaining a bright feel on the mezzanine, where the ceiling is low. LED lighting in the hanging rails, ensures merchandise remains centre stage. Creating contrast Fitting rooms combine edge-lit mirrors with high- level lighting provided by a plaster-in decorative feature. Lighting is soft and provides good facial modelling and colour rendering. Key to the success of the Juicy Couture scheme is the way contrast has been created. By minimising the number of spotlights and instead using soft indirect lighting and spill light from the displays to illuminate the circulation areas, the scheme achieves a light and airy feel. Direct lighting has been restricted to the product displays, ensuring they are highlighted and ‘jump out’ while minimising energy use. Long-life, low-energy luminaires mean less maintenance and better energy efficiency. The lighting control system reduces light levels at night, saving energy and reducing wear and tear on lamps. The total installed load is 35W/m2, which falls to an operational load of about 25W/m2. The project demonstrates that a bright retail environment can be created while minimising energy use. Stephanie Srivastava, design director at MRA, said: ‘The lighting combines with the architecture and interior design to create a store with all the modern glamour of an LA boutique and a sense of fun and elegance that sets it apart. 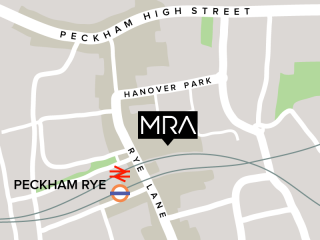 Close collaboration between PNLD and MRA, and a client that was as enthused about the design possibilities as we were, ensured its success."